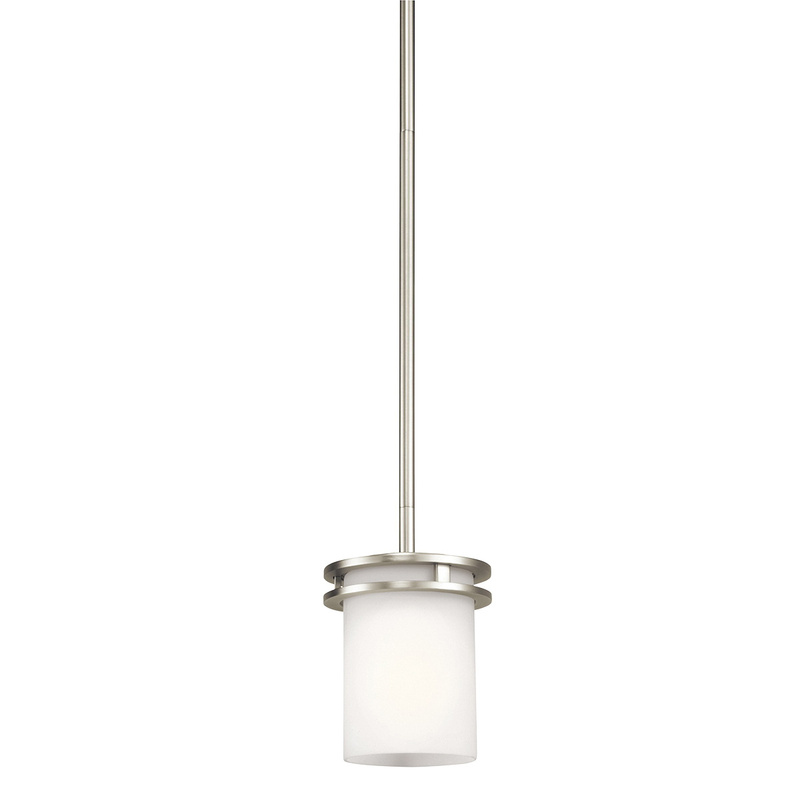 Kichler Hendrik Collection 1-Lamp mini pendant fixture in brushed nickel finish, features steel construction. The satin etched cased opal diffuser dims the light level to create soft light. This modern style fixture uses one 100-Watt A19 medium incandescent/18 - 25-Watt CFL hybrid lamp. It has voltage rating of 120-Volts. This fixture has a dimension of 5.25-Inch Dia x 7.5-Inch. It is mounted on to the ceiling using 5-Inch Dia backplate and 36-Inch chain/stem. This fixture comes with 67-Inch lead wire to ensure easy installation. Fixture is cUL listed.